Babies are officially becoming more fabulous as Matthew Williamson is turning his design house into a family business with his mum, Maureen, who has designed a range of baby-wear. Williamson and his mum have always been close and after helping him start his business after his graduation from Central Saint Martins, this is such a great way for the two to work together again. His mum admitted that she got the idea from one of his books, also telling Vogue UK, "I was recently browsing through it and loving the colours, especially the Electric Angels show. I just thought how cool to have a little bonnet in the colours, tried it and had a brilliant reaction and great feedback." 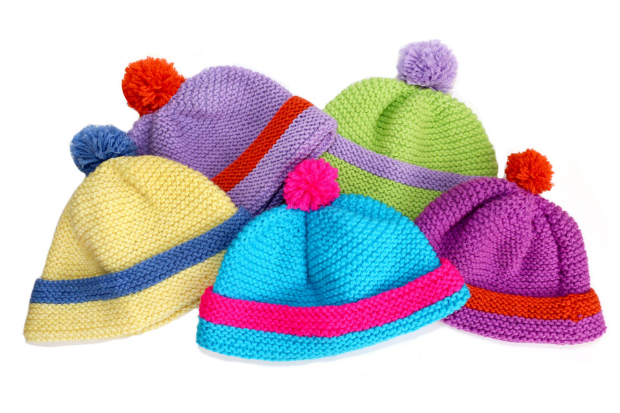 The vibrant knitted woollen designs are absolutely adorable, with traditional booties and hats getting the Williamson treatment in neon blue and fuchsia cashmere. Who knows if this might tempt Williamson to follow in so many deisgners' footsteps and start a full children’s range. He admitted that "my womenswear line would translate well into childrenswear." He also reflected on the influence his mum has had on him. "My mum has always been a huge inspiration for me and my work. She loves fashion and has always been so supportive. She even worked at our Bruton Street store for a while a few years back and loved every minute of it."